When I work with a menu inside the header, in the responsive view, the responsive menu doesn't work good, and you can see that it doesn't push the content down when you open it. This is quite a problem, because this means that currently these types of designs can't be used with themeler. is there anything that can be done to fix that other than putting the menu some other place? Hello Themler Team. When I work with a menu inside the header, in the responsive view, the responsive menu doesn't work good, and you can see that it doesn't push the content down when you open it. This is quite a problem, because this means that currently these types of designs can't be used with themeler. is there anything that can be done to fix that other than putting the menu some other place? THanks, Shaul. Is it the same issue that you posted in the other ticket? Does the issue persist with Chrome browser? Please provide a screenshot. Hello Shaul, Is it the same issue that you posted in the other ticket? Does the issue persist with Chrome browser? Please provide a screenshot. I have sent you two pictures, one of the desktop version, and one of the mobile one so you can see what I mean. If you need any more information or to check anything, please let me know and i will be happy to help. Hi, thanks for getting back to me. Yes, its the same bug like last time... I have been checking the progress, and I saw there is a workaround if you put the menu in another column in the header, but my specific design incorporates the menu in the regular header, and that's were the bug occurs... I have sent you two pictures, one of the desktop version, and one of the mobile one so you can see what I mean. If you need any more information or to check anything, please let me know and i will be happy to help. THanks for your time, Shaul. In fact this is behavior by default. When the horizontal menu is located inside the header it has absolute position. As the result it does not push the content down. 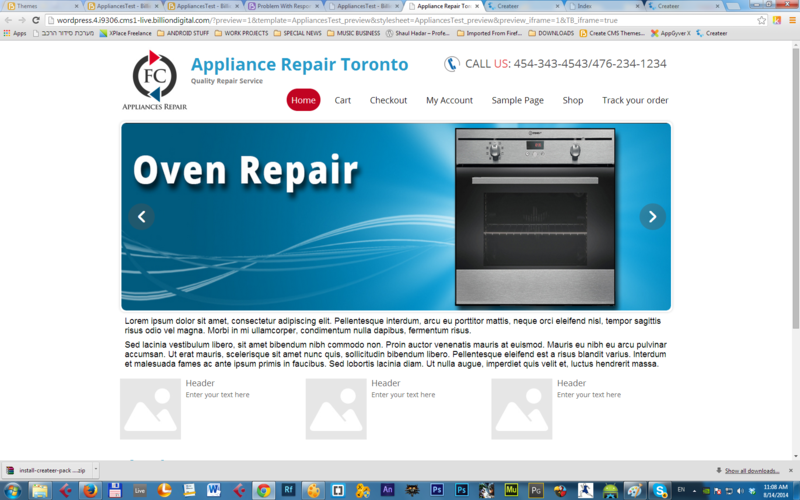 To fix the display problem you can try adding menu background for responsive modes. In this case you will not the other page content behind menu. I actually know this bug from artisteer, and i helped them fix it and test... what they did was in responsive mode, add a row in the top of the site, with the menu div inside, and than no matter where the menu was in the desktop version, in the responsive it was in a seperate div and didn't interfere with the header... maybe you can do something like this? 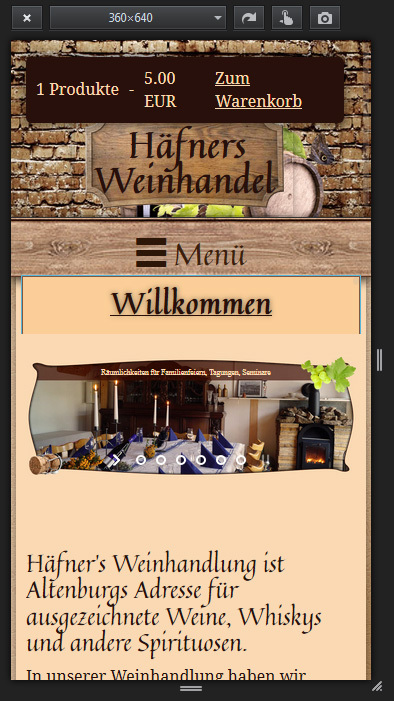 I tried doing it inside themeler, but i wasn't able to add a row with the menu to show only in the responsive modes, maybe there is a way to accomplish that? currently, this is one of the major flaws in the responsive modes from what i checked, other than that themeler is getting really tight, i like it :) you are doing a great job!! I actually know this bug from artisteer, and i helped them fix it and test... what they did was in responsive mode, add a row in the top of the site, with the menu div inside, and than no matter where the menu was in the desktop version, in the responsive it was in a seperate div and didn't interfere with the header... maybe you can do something like this? I tried doing it inside themeler, but i wasn't able to add a row with the menu to show only in the responsive modes, maybe there is a way to accomplish that? currently, this is one of the major flaws in the responsive modes from what i checked, other than that themeler is getting really tight, i like it :) you are doing a great job!! Have a great day, Shaul. You can try to move the menu outside the Header and then move it on top of the header with negative margin. same problem here, mu mobile menu is in the backside (see image attached) i need it to be infront and push the slider and rest of the content down, can you help me? Hello, same problem here, mu mobile menu is in the backside (see image attached) i need it to be infront and push the slider and rest of the content down, can you help me? Have you tried the suggestions provided by Olivia above? They should help you as well. In other case please provide a link to your theme. Hello, here is the link to my theme, if you look at the menu in the mobile version you will see it roll behind the slider content, can you give me a solution, i dont quite understand Olivia's explanation (negative margin...), if you could show me with screen shuts? I also give you the site admin access on a private request. Now the menu is showing up on top but not the sub-menus, i changed z-index: 4 for all of them, navigation, menu, sumenu but the submenu are still behind as you can see on my screen shut. If you want i gave you the credentials to log into the site to look at this on my private posts. Thanks. Now the menu is showing up on top but not the sub-menus, i changed z-index: 4 for all of them, navigation, menu, sumenu but the submenu are still behind as you can see on my screen shut. If you want i gave you the credentials to log into the site to look at this on my private posts. and provide access credentials to CMS admin back end. What is the answer to this? I have tried a few of these things and none are working fully. Could you please also create a private topic with a link to your site and more details about the issue. 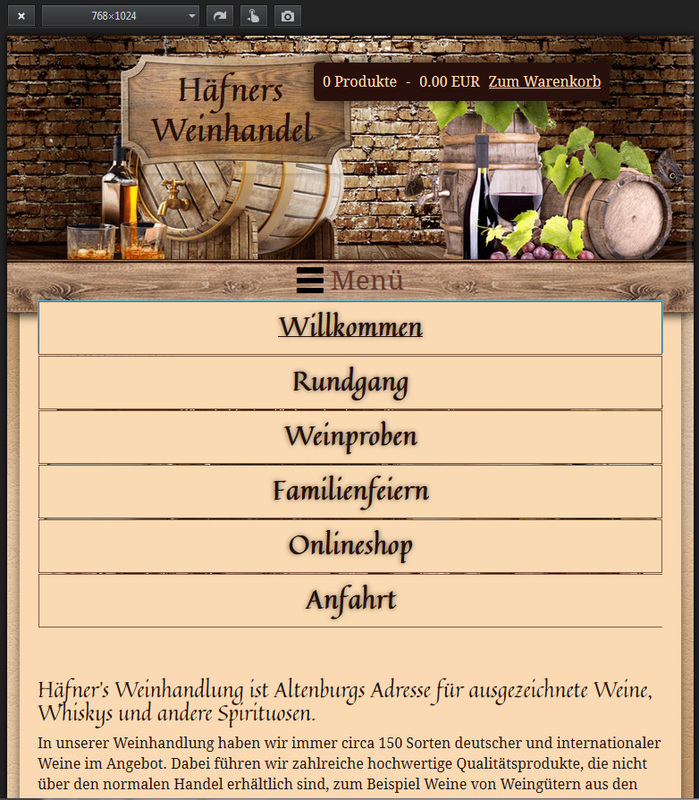 So how can i get it solved to have the desired design in all views and a functional responsive menu? Please create a private topic and provide access to your theme. Ich komme nicht hinter die Lösung des Problems. I can not get behind the solution of the problem. Could you please create a separate topic and provide the login details to your site so we could check your theme settings. So, does this issue have a solution we can solve by ourselves? 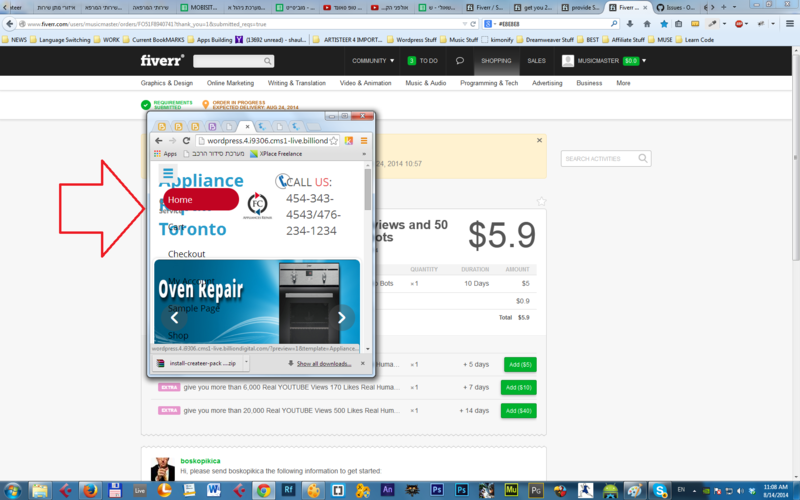 I have exactly the same issue with responsive menu described above. I see that martin53 problem is resolved. I work on locally on XAMP, so I can not provide access to support. The issue "menu is not displayed properly" is too much general so we could provide a solution for it. So please submit new support private topic where provide link to your site and your CMS admin back end.